Given our current hectic lifestyles, chanting the Name of God is the easiest path to follow in the current era (Kaliyuga). Chanting has no limitations of time and space and can be done anytime anywhere. When we chant God’s Name it bestows maximum spiritual benefits. It not only has the ability to heal and purify our physical body but also the various subtle sheaths/auras around the physical body. Chanting the Name of God according to the religion of our birth helps one to grow spiritually. We do not decide our birth, it is bestowed by God. We are born to the religion or family which is most conducive to begin our spiritual practice. Chanting God’s Name helps us to remain in communion with Him at all times and thus our spiritual practice can happen uninterrupted wherever we maybe. The following series of articles explain in detail how you can start or augment you spiritual practice with chanting the Name of God. Seekers around the world have had many spiritual experiences and observed benefits of chanting at a medical, psychological, and spiritual level. Chanting the Name of the God as per one’s religion or Family that we are born in helps to foster maximum spiritual growth and overall well-being. Understand how chanting destroys the numerous incorrect impressions in the sub-conscious mind and cleanses us internally. 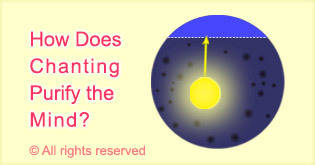 Any repeated thought or action forms an impression that if reinforced becomes a centre. The same principle is used to create the devotion centre through chanting. When we chant the negative impressions in our sub-conscious mind are nullified. Understand though subtle drawings what happens in the subtle when we chant the Name of God. Chanting means repetition of God’s Name. Chanting brings us many medical, psychological and spiritual benefits. If we chant for spiritual progress, we will achieve our aim and experience all the other benefits of chanting too. 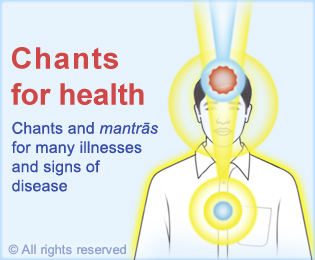 Medical benefits of chanting include the symptoms of disease being visible before the disease sets in and physical benefit due to mental stability. 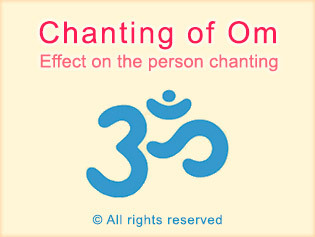 Psychological benefits of chanting include the subconscious mind getting purified, increase in concentration, introversion and introspection and purification of speech. 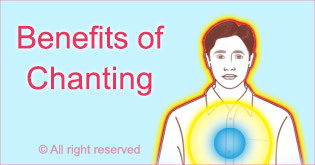 Spiritual benefits of chanting include the ability to overcome destiny and ancestral problems, elimination of distress, purification of Kundalini centres and many benefits for our spiritual practice. 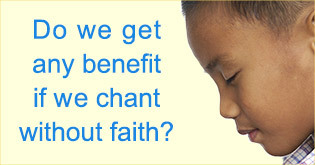 Do we get any benefit if we chant without faith? This article explains whether one can get any benefit if one chants without faith. Do we need a special time and place to chant? According to the science of Spirituality, we do not need a special time and place to chant the Name of God. Is it necessary to sit cross-legged while chanting? Our goal is to be able to chant the Name of God continuously and with concentration. Keeping this in mind, we can make efforts to chant at all times in any position. This article explains why we sometimes feel distress, discomfort or pain while chanting. This article explains how to increase the spiritual practice of chanting the Name of God. Many incessant thoughts can disrupt our chanting. Here, we give practical tips on how to improve concentration in chanting. This article explains how it is possible to chant during working hours or even when talking with someone. What are the benefits of coordinating chanting the Name of God with one’s breath? By coordinating chanting the Name of God with one’s breath, one can gain a number of benefits and improve the quality of chanting as one’s spiritual practice. I prefer to chant the Name of my favourite deity to that of my family deity – is that OK? It is better to chant the Name of the family deity or the Divine Principle as per one’s religion for rapid spiritual progress. Does one have to leave existing spiritual practise to start chanting? To begin chanting the Name of God, one does not have to give up one’s current form of spiritual practice, but in fact, can augment it with chanting. Chanting (japa) and meditation – What is the difference? In this article we define chanting and meditation, outline the differences between them and study why chanting is a more beneficial spiritual practice in the current era. Understand how chanting conforms to the 6 basic principles of Spirituality. 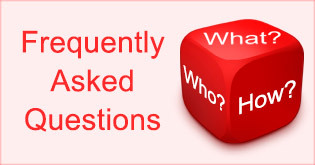 This article explains the commonly and frequently asked questions about what Name of God one should chant. This self-healing spiritual technique - Nyas focuses the spiritual energy generated through chanting to specific chakras. Placing empty boxes around us while doing concentrated chanting uses the Absolute Ether Principle to enhance the quality of chanting. Using SSRF incense sticks to purify the premise can improve the quality of chanting. Cyriaque overcame ancestral problems through chanting. Virendra shares how chanting removed his reoccurring and frequent mouth ulcers. John explains how chanting the Name of God relieved his eczema immediately. Therese shares her experience of a Divine sweet taste in her mouth while chanting the Name God. Learn how Ian overcame depression and other life problems through chanting the Name of God. Become inspired by H.H. Lola’s experiences and love for chanting the Name of God. 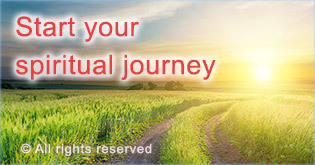 Learn about the three things you can do right away to begin or complement your spiritual journey. Chanting the Name of God as per one’s religion of birth is the recommended foundation of spiritual practice. 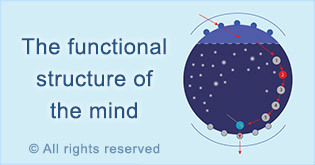 We are often acting or thinking because of deep-rooted impressions in our subconscious mind. Being in satsang helps us to experience the Bliss we feel by chanting more easily. 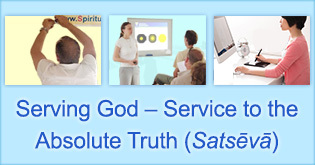 Rendering satseva is the best way to progress rapidly towards God realisation. 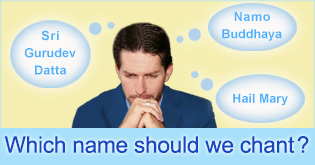 Increasing our spiritual emotion helps us to feel more Bliss by chanting the Name of God. Due to the increase in Raja-Tama or spiritual impurity in the current times the recommended minimum amount of chanting is 2 hours a day. SSRF Saint Her Holiness Lola Vezilić and Mr Atul Dighe share why it is important to begin your spiritual practice with chanting.